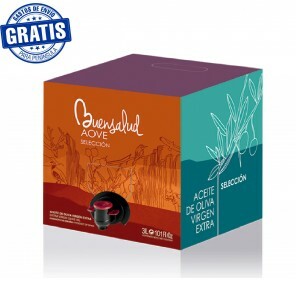 Buensalud extra virgin olive oil gift pack. It contains four bottles of 200 ml with picual, frantoio, arbequina and coupage varieties. Buensalud Selecction. Bag in box. 3 litters. X 4. FREE SHIPPING TO PENINSULA Extra Virgin Olive Oil. Buensalud. Bag in Box. 3 litters. Box of 4 units. You can choose the variety between: Picual, Arbequina and Frantoio. FREE SHIPPING TO PENINSULA EVOO Buensalud Selection. Frantoio variety.2018-2019 harvest. 200 ml bottle. Box of 12 bottles. 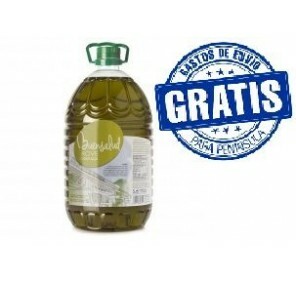 FREE SHIPPING TO PENINSULA EVOO Buensalud Selection. Arbequina variety. 2018-2019 harvest. 200 ml bottle. Box of 12 bottles. Buensalud Selection. Picual variety. 200 ml bottle. 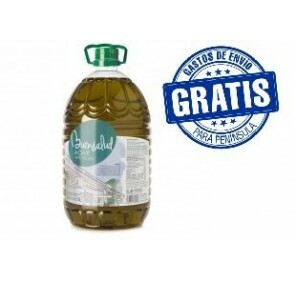 FREE SHIPPING TO PENINSULA EVOO Buensalud Selection. Picual variety. 500 ml bottle. Buensalud Selection. Arbequina variety. 500 ml bottle. EVOO Buensalud Selection. Arbequina variety. 2018-2019 harvest. 500 ml bottle. 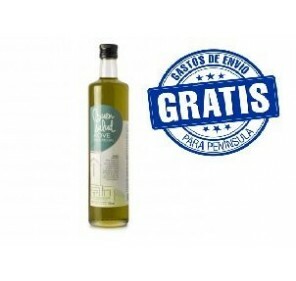 FREE SHIPPING TO PENINSULA EVOO Buensalud Coupage (70% Picual - 30% Arbequina). Aviable sizes:Box of 2 PET containers of 5 L. Box of 6 PET containers of 2 L. Box of 12 glass bottles of 500ml. Buensalud. 100% Picual. Glass range. FREE SHIPPING TO PENINSULA. EVOO Buensalud.100% Picual. Glass range. Aviable sizes:Box of 12 glass bottles of 750 ml. Box of 12 glass bottles of 250 ml. Buensalud. 100% Picual. PET range.